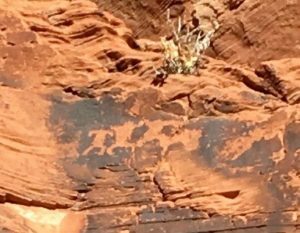 Ancient people holding hands—that’s what we saw on the rock art at th e Valley of Fire near Las Vegas last week. 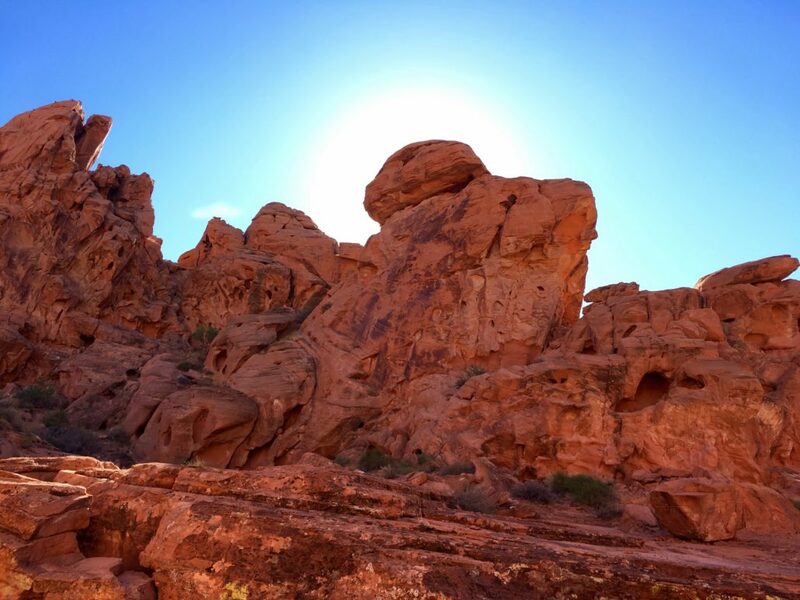 Kim and I were in Vegas to attend the Global Crowdfunding Convention and took a few hours to explore the area. 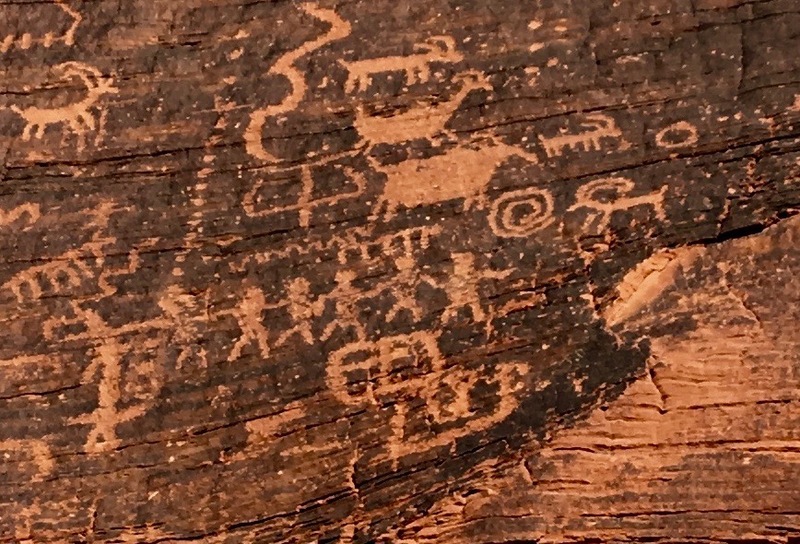 We didn’t expect to see the spirit of community carved in stone. 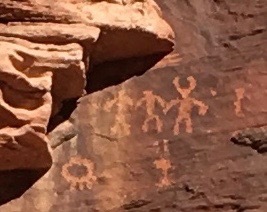 But there it was—in petroglyph after petroglyph illustrating the story of human connection dating back thousands of y ears. That story is alive and well today and crowdfunding gives it a new way to express itself. 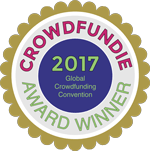 While many of the speakers at the convention touted crowdfunding success by dollars raised, there was also an underlying theme expressed by many. Conference convener Ruth Hedges capsulized it when she said, “The essence of crowdfunding is not about money—it’s about showcasing the best of humanity.” That’s why I love this work! Together we’re creating a dynamic place for community, where people share their stories, their resources, and their passion for creativity.